^ "VOLBEAT on Danish Rock Radio." VOLBEAT on Danish Rock Radio. 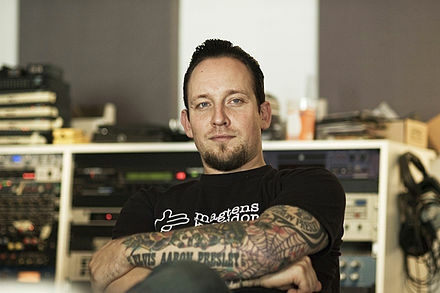 Accessed September 22, 2016. http://www.danishrockradio.com/bands/volbeat. ^ "VOLBEAT Parts Ways With Guitarist". Blabbermouth. Retrieved 2008-09-20. ^ "ILLDISPOSED Announces New Guitarist". Blabbermouth. Retrieved 2008-09-20. "Fallen" "Heaven nor Hell" "A Warrior's Call" "Still Counting" "The Hangman's Body Count" "Lola Montez" "Dead but Rising" "Doc Holliday" "The Devil's Bleeding Crown"